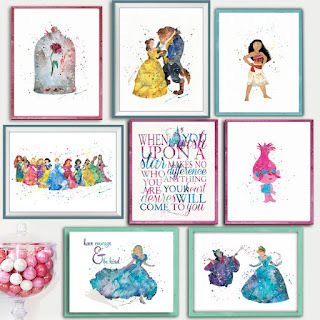 Head over to get one of these Simply Enchanted Character Art Prints for ONLY $3.27 (Retail $10)! The original Fairy Tales and Tiaras oh my!... All their favorites to add a pop of color &amp; character their kingdoms.